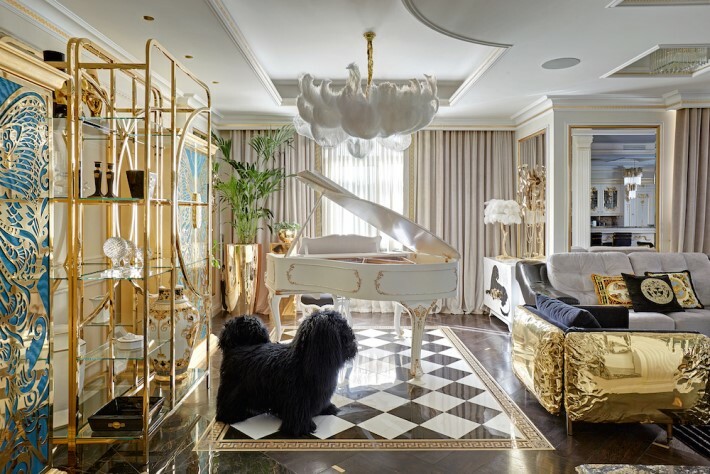 Many people only dream of having a luxury interior composed of statement pieces from all across the globe which emulates their passions. This opportunity is rare, but Gia Eradze has seized it and turned his dreams into a reality. 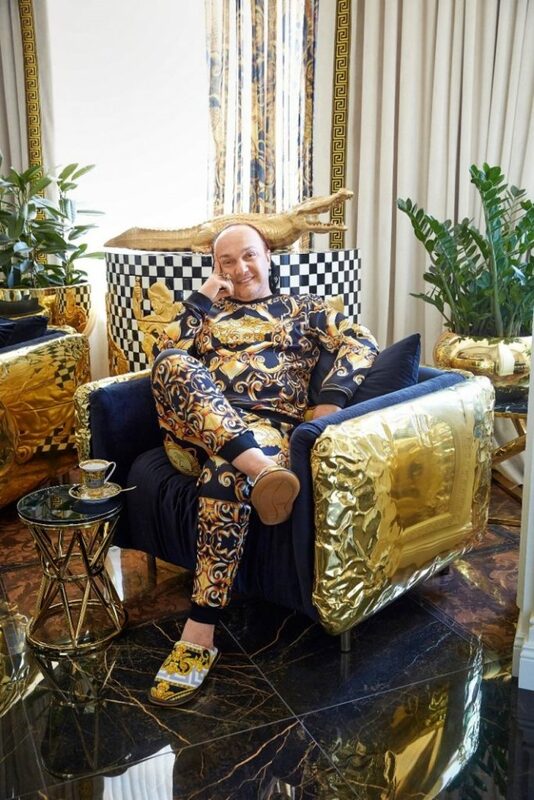 Founder of the famous Royal Circus, a lavish Russian-based circus featuring hundreds of animals and opulent costumed performers, Gia desired a wildly eccentric space for entertaining his showbiz friends and colleagues. 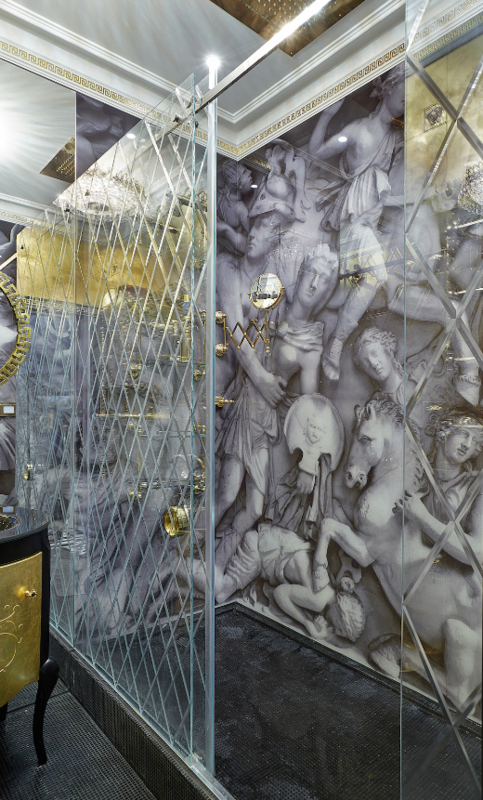 So, Gia hired interior designer and architect Tatyana Mironova to bring his vision to life. Known for her classical style, the Moscow-based Tatyana stepped out of her comfort zone to create this exotic masterpiece for Gia. 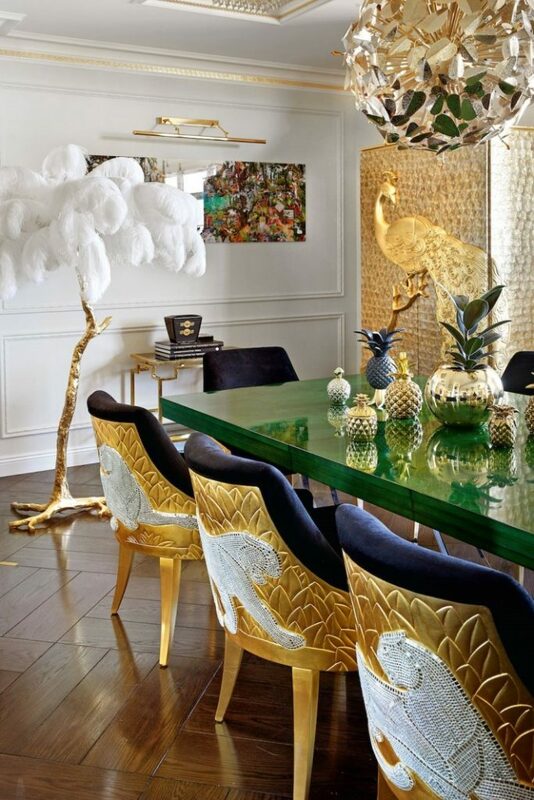 Filled with brilliant golds, animalistic vibes, and rhinestones, Tatyana created a beautiful Royal feast for the eyes. 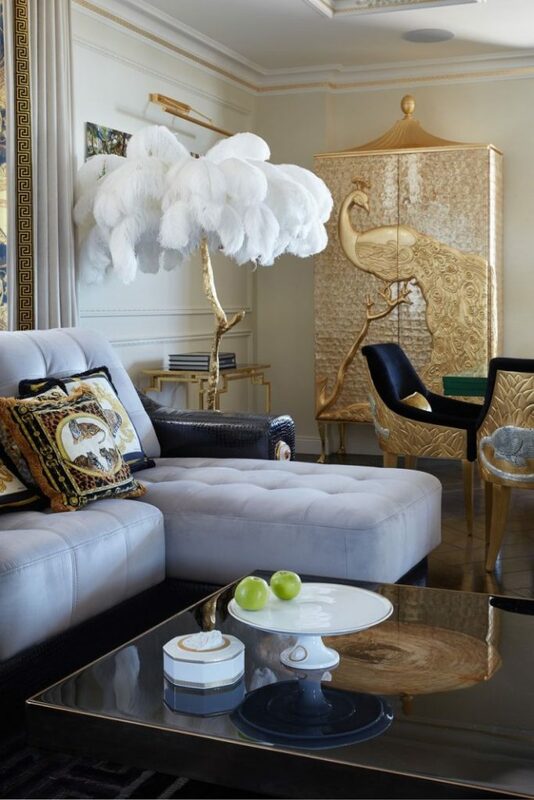 Layers of gold, Gia’s favorite color, are found throughout the space. 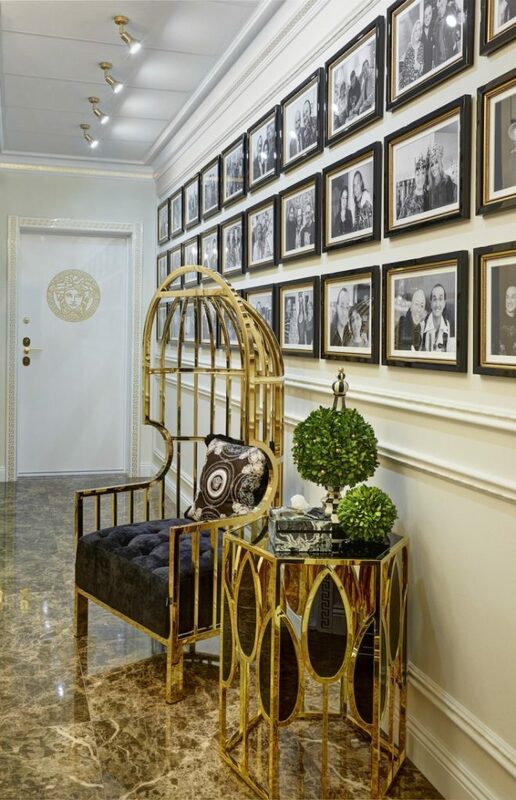 Gold chairs, gold dressers, gold chandeliers, gold mirrors, and golden stucco molding! 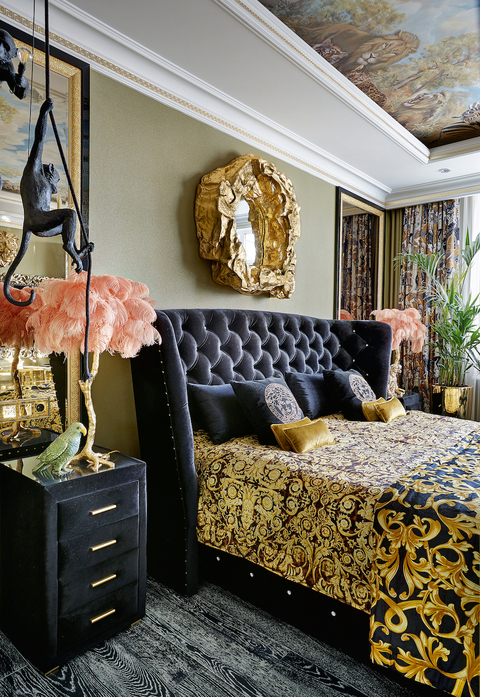 The luxury interior is enlivened with exotic furnishings and decor! 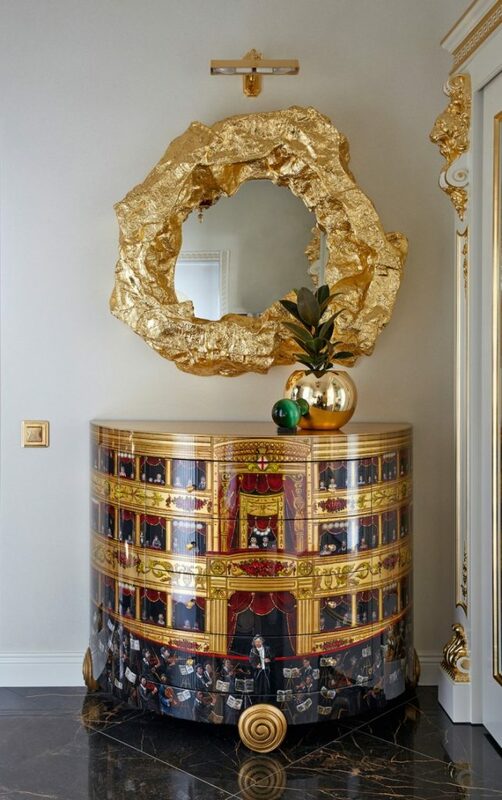 KOKET’s whimsical Mademoiselle armoire with its butterfly doors and the Camilia armoire with its golden peacock add charm to the main room’s animal theme. 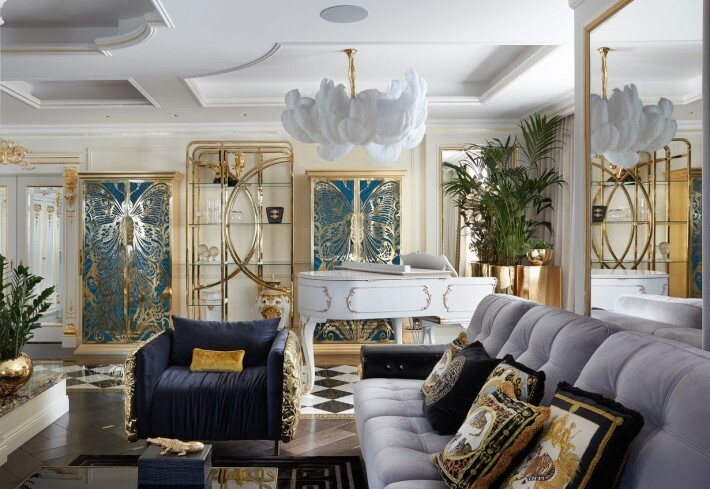 The space also features a wide variety of other animalesque furniture and decor, including pieces inspired by elephants, crocodiles, lions, leopards, monkeys, and claws. A Grand Modern Tour’s magical feather lighting adds even further to the exotic and fun feeling of the space. Tatyana’s main goal in creating this luxury interior was to have it fit Gia’s needs. To make it a space that would easily remind us who it belonged to. So, in order to do that she included three key things in her design: gold, animals, and VERSACE. It brings Gia Eradze joy to see these things and so for Tatyana to bring Gia’s joyous careless vision to life the room had to revolve around these elements. 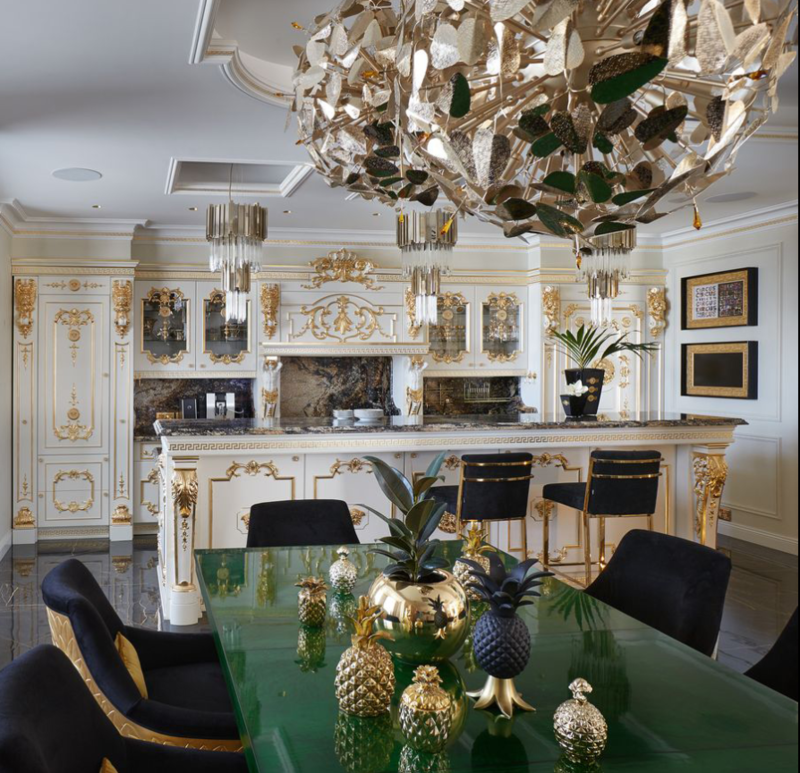 This apartment’s luxury interior emanates individuality and unique brilliance – a job well done! Scroll on to see more! 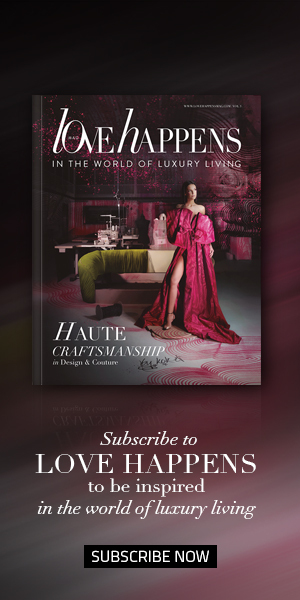 Looking for luxurious interior designs by top talents? Check out our Interiors page!